Lone Sailor, a proven closer who competed in the Kentucky Derby and Preakness Stakes, will run in a softer spot next out. Rather than enter the colt in the 2018 Belmont Stakes, trainer Tom Amoss announced Sunday morning the colt’s next race will be the June 23 Ohio Derby, a Grade 3, $500,000 feature at Thistledown. Another horse whose connections considered the Belmont, Machismo, is likely to challenge in the Ohio Derby as well. Lone Sailor, a son of Majestic Warrior, has just one win from 10 starts but should benefit from the class relief. 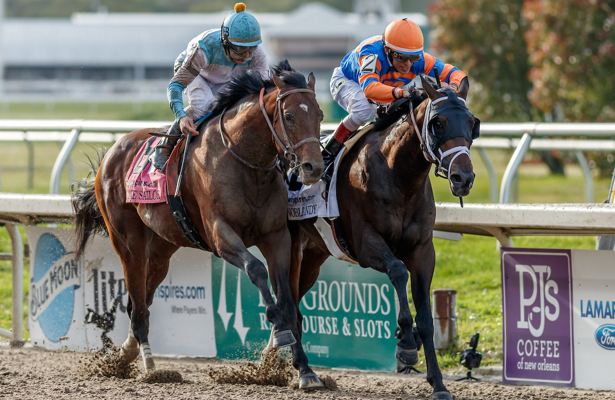 He had the lead in the stretch of the Louisiana Derby (G2) before outlasted by Noble Indy, then ran eighth in the Derby and fifth in the Preakness. The bay colt runs for G. M. B. Racing, campaigned by Gayle Benson, owner of the New Orleans Saints and Pelicans franchises.